The Department of Chemistry at the University of Ottawa has one of the strongest research profiles in the country. Junior and senior research faculty alike have won some of the most prestigious national and international awards available. Several of our professors hold Canada Research Chairs and University Research Chairs. 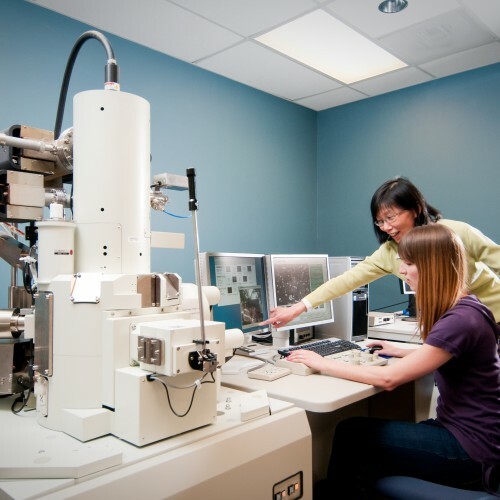 The quality of our research continues to be recognized through major awards and substantial funding through agencies such as the Natural Sciences and Engineering Research Council and the Canada Foundation for Innovation. 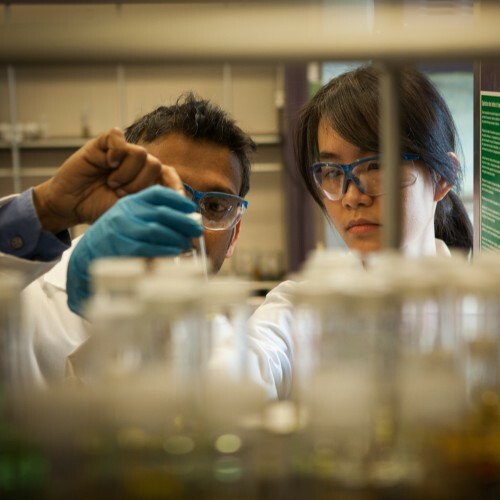 Research in the department covers the traditional chemistry disciplines, including organic, inorganic, physical/theoretical, and analytical chemistry. Beyond these traditional boundaries, the department excels in a number of interdisciplinary areas, often supported by specialized undergraduate programs. Research in catalysis has long been one of our strengths, and many of our research faculty are founding members of the interdisciplinary Centre for Catalysis Research and Innovation. 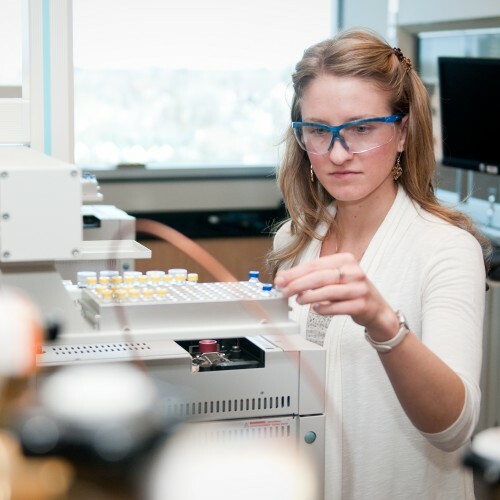 Strong research programs in homogeneous catalysis, heterogeneous catalysis, fuel cells, and hydrogen storage materials mean that our department is well-recognized as a leader in research in catalysis. Another common thread running through the research programs of a core group of our faculty comprises developments and applications in the field of biopharmaceutical chemistry. The synergy between active research programs in natural product synthesis and biosynthesis, medicinal chemistry, bioanalytical chemistry, and chemical biology, notably amongst several recently appointed faculty, has served to bolster the department’s efforts, impact, and reputation in the area of biopharmaceutical chemistry. Faculty members and their research groups pursue diverse research programs which are not all described in this short “at-a-glance” vignette. You are invited to continue to discover the high-impact research happening at the University of Ottawa by exploring the individual webpages of our research faculty. 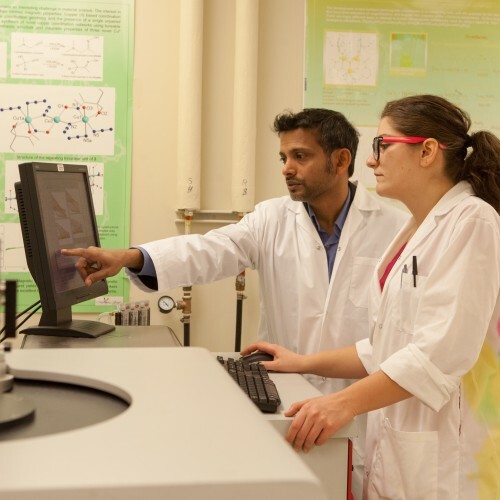 You will find that our faculty members have vigorous research programs in exciting areas including synthetic organic chemistry, inorganic chemistry, photochemistry, surface science, materials science, molecular magnetism, NMR spectroscopy, mass spectrometry, computational chemistry, and much more.